Justice For Children and Youth (JFCY): Your right to study! Jose is a 10 year old boy. He was born in Mexico, brought up in a low-income family. His parents have been saving up for years working in labour intensive jobs in hopes that Jose will never have to suffer through the hardships that they encountered in their lives. Jose’s parents are hoping to move to Canada so that Jose will have a chance at a better education, and subsequently a better life. On his 10th birthday Jose and his parents flew out to Canada hoping for a brand new start. After settling into the neighbourhood and nearby surroundings, Jose and his parents decided that since it was nearing the start of school, they should visit their nearby school for registration. By the time his parents brought him to register for school they had just realized that their visitor’s visa had expired. His parents are not sure if the school will register their son and are quite worried. Jose is really disappointed to hear this news and remains eager to start school in Canada. All children who reside with a parent or guardian within a school board’s boundaries have the right to attend a school within the board, but not any specific school. A child who is a “resident pupil” has a right to attend school without paying a fee. A “resident pupil” means that they are living in Ontario and not just visiting. Canadian citizens and “permanent residents” do not have to pay a fee to attend a school in the district in which they live. 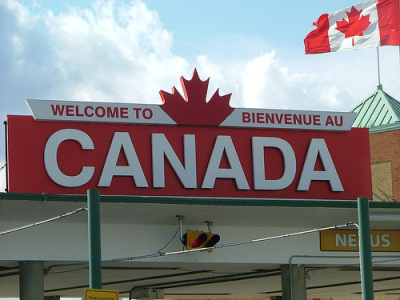 Students who are “visitors” to Canada will have to pay a fee in order to attend school. For example, if Johnny and his parents do not take steps to gain immigration status in Canada then they will likley have to pay a fee. - The student, or their parents have claimed refugee protection in Canada and are awaiting the decision, or have had refugee protection conferred on him/her/them. - The student has applied for “permanent resident” status and is awaiting a decision. - The student is living with parent (or someone who has lawful custody of them) who is a “permanent resident” or has applied for “permanent resident” status. - The student is living with parent (or someone who has lawful custody of them) who has a valid work permit or has applied and is awaiting the determination of a work permit application. Section 49.1 of the Ontario Education Act says that a student should not be refused admission to school becasue they or their parents are unlawfully in Canada. Other school boards in Ontario may have different policies.